Why are we banging on about MSK Ultrasound all the time? !..why are we excited by it? and what does it add to our clinical practice? This is obviously a very broad topic to discuss, but I wanted to put over a few brief and key points for those who are less aware of the role of ultrasound in clinical practice. This is certainly not exhaustive of all aspects. When discussing the role of MSK ultrasound in an Extended Scope Physiotherapy clinic where I work , I often get asked, ‘ What extra does it add?’. This is a fair question. I think it forms a useful adjunct to a clinical examination and can facilitate patient management. There are also situations where it has not altered the patients management in a clinical setting. It also provides an opportunity to educate the patient and demonstrate the normal movement of tissues. We are also lucky enough to have access to MRI, and so for a number of situations MRI is an appropriate investigation, and ultrasound is inappropriate…but some patients are contraindicated to MRI, its relatively expensive and is not that accessible. To name a few advantages of ultrasound over MRI- it is cheaper, it can be integrated into a clinical assessment dynamically, it can be correlated with physical palpation and the location of a patients complaint and finally it enables comparison with the asymptomatic side. It can also be used to guide interventions, reducing risk and increasing accuracy. Lets face it though..MSK ultrasound also has some significant limitations. It can’t image deep into joints or past a bony cortex, due to limited penetration of sounds waves as a result of large acoustic impedence and reflection coefficient of bone. The use of ultrasound is limited in larger patients, due to rapid attenuation (weakening) of sounds waves, ultimately meaning that if you are trying to visualise a deep structure little energy is reflected back to the transducer limiting image generation. 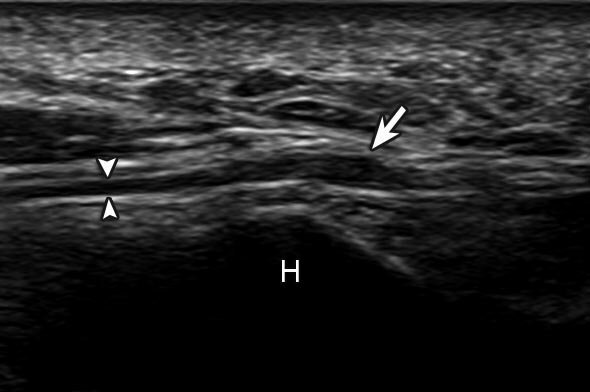 The use of MSK ultrasound is highly operator dependent, with the potential for misinterpretation of images with artefacts such as anisotropy. There is therefore the need for competency based training and ongoing CPD, which come with their own challenges and barriers. A further significant consideration when utilising MSK ultrasound is the ability to place the structural findings in a clinical context. There is plenty of research demonstrating the presence of asymptomatic pathology on spinal imaging Boden et al (1990) and the impact that poor handling of this information can have on patient outcome and treatment. I don’t think it is any different to the use of ultrasound…this is true for regions where ultrasound is used more readily such as imaging the rotator cuff. Finding full thickness tears, often as part of the normal ageing process, in asymptomatic shoulders is certainly not uncommon. An article by Girish (2011) found asymptomatic shoulder abnormalities in 96% of 40-80 year olds! Need I go on…so relate your findings to the symptoms of the patient! 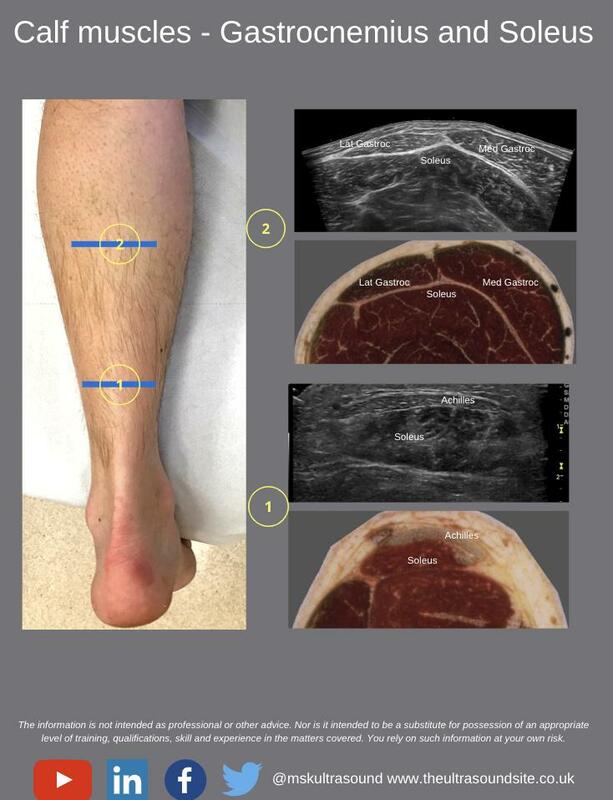 ….Therefore, there needs to be correlation of MSK ultrasound findings and clinical examination findings in the clinic. Clinical reasoning is just as important when using MSK ultrasound as it is when it is not present- ultrasound does not always provide a quick route to a diagnosis. As important as clinical reasoning, is the ability of the clinician to communicate the significance of imaging findings, and relate this to the patients complaint. The language used and the manner that it is conveyed in is crucial to progress the patients management. Briefly mentioning ‘a tear’ that is ‘not a problem’ as a passing comment, will most likely cause fear and confusion, place it in context. Remember, patients don’t have the knowledge of ‘asymptomatic findings’ and therefore often won’t place this in the context that we often do as clinicians, with discussion and education we can help them do this. I see ultrasound playing an increasingly key role in the assessment and treatment of MSK conditions. The specificity and sensitivity of physical examination tests is constantly being reviewed, and is lacking for some areas and pathologies. MSK Ultrasound can offer us a way to obtain more information, dynamically and in the clinic setting. It is not an answer, requires skill, reflection and good communication. It does seem to have a potential role to play though as we modernise what we offer patients. Further research on the impact diagnostic ultrasound has upon patient outcome and management is also required, something that has yet to be established in a still relatively new and rapidly developing technology. The following article provides a useful overview of the ‘Top 10 reasons’ on why MSK Ultrasound is a useful alternative to MRI. Feedback always welcome at [email protected] or via the comments below! Hi, thanks for the comment. You can register to become a member of the website and this will enable access to the protocols. Click on ‘My members area’ at the top of the screen to register.